The K2-ADE-TB is a non-isolated RS232 to RS485 converter for 1200-38400 baud, with an option for 115200 baud. It contains a microprocessor for automatic RS485 driver control and does not need RTS Control. 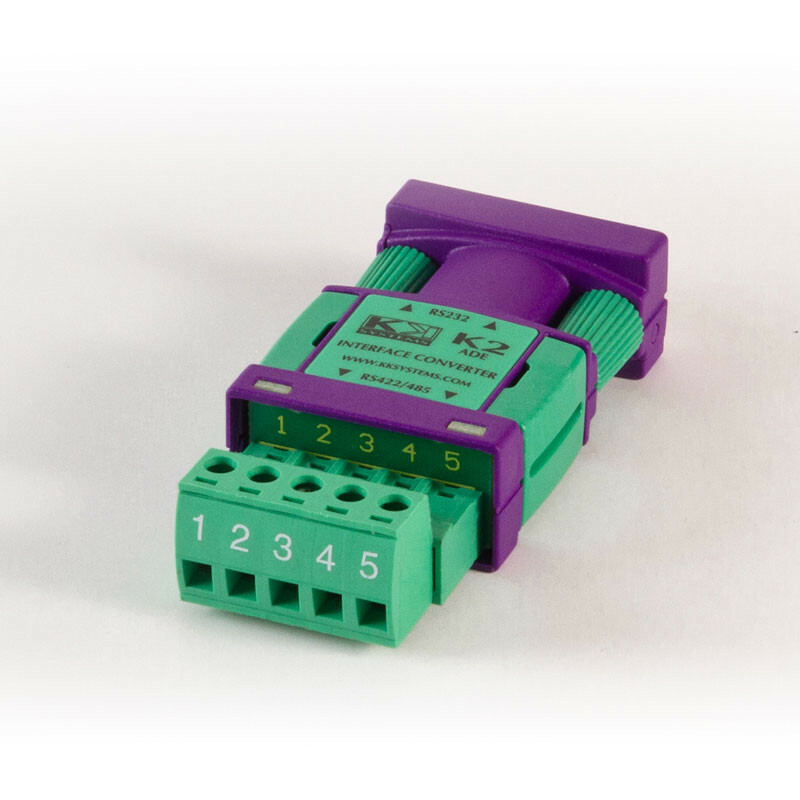 The K2-ADE-TB is intended for RS232 to 2-wire RS485 conversion. It is not recommended for RS232 to RS422. It has a DB9 female connector on the RS232 port and a removable terminal block on the RS485 port.